In a fast-paced world where we live in, having healthy pauses to check on your mind and body wellness can go a long way. 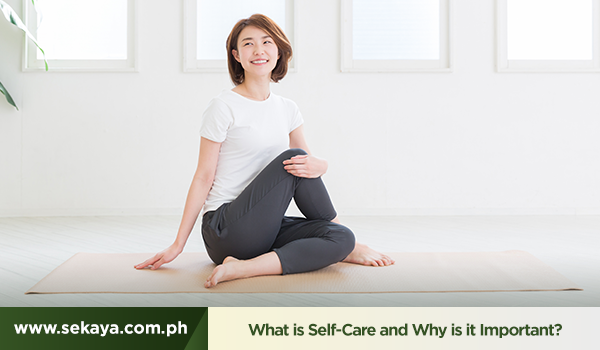 Read on how self-care impacts our daily activities, and, generally, how we live our everyday lives. When was the last time you dropped everything to do something for yourself? The last time you went to a movie, hung out with a friend, or even the last time you did nothing? If it took you more than a minute to answer, then it probably has been a while. But what is self-care and what does that have to do with granting yourself these little pleasures? Self-care is about living a healthy lifestyle, but it’s also more than that. It’s more than eating healthy, doing regular exercises, or proper hygiene. Self-care is looking after your body while also being conscious of how your mind is doing. By allowing yourself to take a break, you permit your mind and body to breathe. By indulging in rewarding moments, you allow yourself to feel good. And this is where the magic of self-care happens. You start to feel confident about accomplishing tasks. You deal with stressful or challenging situations better. You radiate the inner happiness and contentment, and this makes it easier to socialize, relate or interact. A shift on your perception of your self-worth takes place. You begin to understand that you matter more than the deadlines and the daily to-dos. At its core, self-care is a way of minimizing stress by finding moments to align yourself with your mind and body. Create something out of your passions. Doodle, watercolor, write or journal. Take 10 minutes to pause and meditate.